Come see what living on Black Creek has to offer with outdoor living that will make anyone want to move! 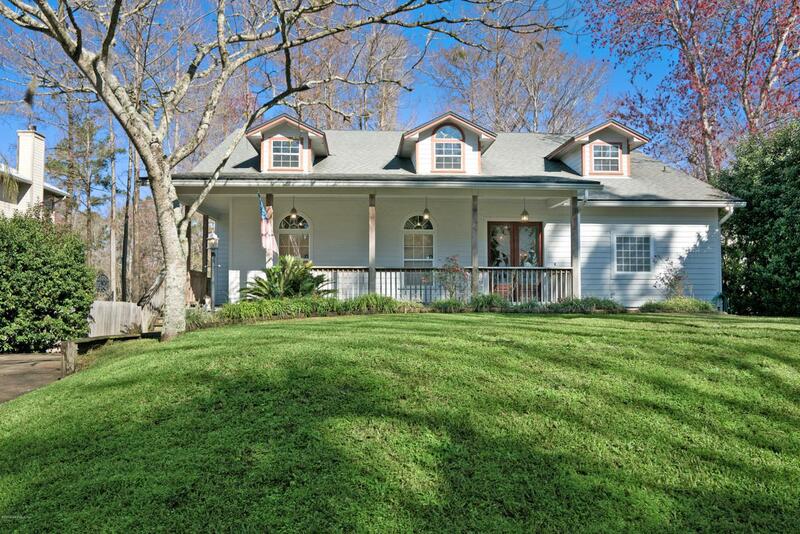 Enter into the home from the front porch with 8ft solid wooden doors and 12ft ceilings. Newly updated main living area features an open concept. This home is ready to have your own personal touch. The vaulted master bedroom is spacious with a bonus room that faces the creek and can be used as an office/den/study. Master bath has his/her closets. Have a morning cup of coffee on the large screened-in back porch while admiring the boat house by the creek! Dirty day on the water? Don't fret, there is a side entrance into the mudroom accessed by the porch.